The MAD Scientist Network is a collection of scientists from all over the country available to answer any of your science questions. 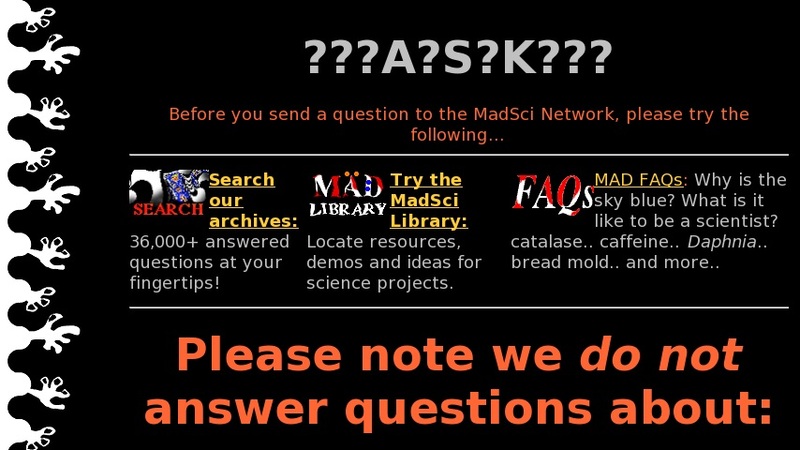 Search the archive of over 25,000 questions, explore the MadSci Library for resources, demos and science fair project ideas, or read the FAQ that answers common questions, like why is the sky blue? Scientists will not answer homework questions, medical questions, or science fair project questions.